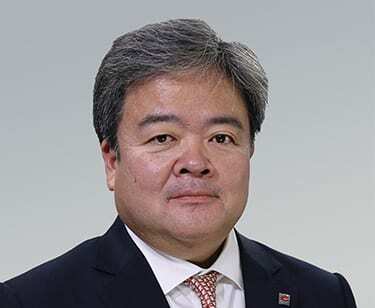 Katsuyuki Tajiri was appointed an Executive Director of Sompo International Holdings Ltd. in January 2019. He joined Sompo Holdings in 1990 and has held various management positions during his almost 30 years of service to the company, including planning roles in new product development, direct marketing, global strategy and more recently as Executive Director and COO of Sompo Holdings (Asia) which manages Sompo’s retail business in the ASEAN countries. In 2018, he was appointed Executive Officer of Sompo International Retail responsible for laying the foundation for this new integrated retail platform, which primarily focuses on personal lines products. Mr. Tajiri holds a Bachelor of Arts degree from Sophia University.